This Coat of Arms wall hanging accents the origins of weather vanes in the world. Almost immediately after devices were created to indicate wind direction, they became an artistic device to indicate family, trade, and status. 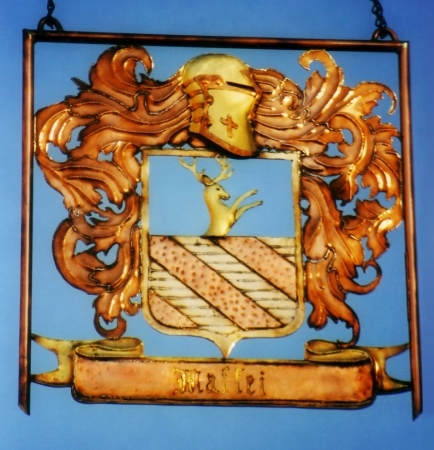 For this beautiful Coat of Arms, the wind catching aspect has been dropped, with the family crest transformed into a wall hanging. There are so many versatile ways to create personal statements, and acknowledge our history, hobbies, and nature. We would love to speak with you about creating a signature piece for you and your family.